Its rowdy neighbor, Mad River Bar & Grille, has bargoers queueing up for entry, but this friendly watering hole is worth giving up your spot in line. 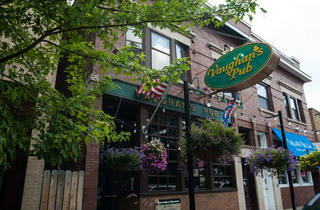 Dim and narrow, the pub sports candlelit tables, sociable regulars and enough pockets of space to accommodate everyone. Translation: No line…at least not yet. El stop: Brown, Purple (rush hrs), Red to Belmont. Bus: 8, 11, 76. 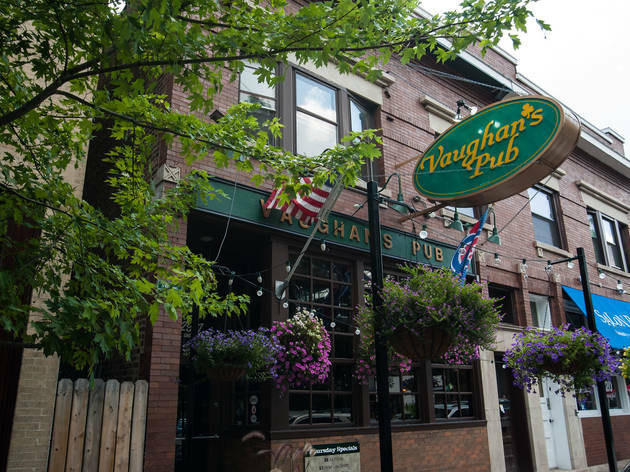 I try to steer clear of pubs during St. Patrick's day celebrations, but my friends dragged me to vaughn's this year and I wasn't disappointed. It wasn't overly crowded with raucous crowds (though everyone was clearly having a great time) and it was super easy to get a drink. We had plenty of room to dance, plus they dyed their beer green in honor of the holiday which was a nice added touch!